It is very difficult to move your car or motorcycle from one island to another in Hawaii . But your cost effective solution is Ship Hawaii. We are here for you. There are no better shipping services than Ship Hawaii. Our Ship Hawaii authority ensures you extra care for your vehicle during shipping from one island to another in Hawaii. We are the only one with modern equipment and years of experience in the field of shipping service (and would provide you the best service in the market). Before being carried to the ship your car should be well packed, because your car can be damaged when numbers of moves are made to handle the car in ship. After packing and loading your car into the container of the vessel, it will ship through ocean to your desired destination. When it arrives at the destination port, either consignee can receive the car with proper documentation or we will deliver it to your desired place. Whenever you search for any shipping companies Ship Hawaii will be the best solution for you. 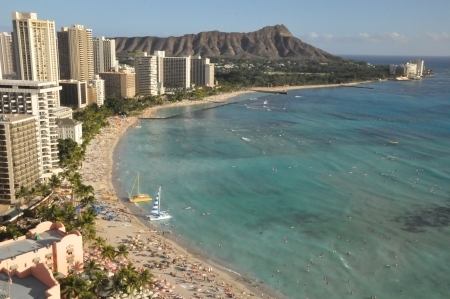 Enjoy de bestbeachs.com in Hawaii ! For further details, please visit our website or call our local agent. What happens if my car gets scratched ? What if your car is not a running vehicle? Does anyone drive your car? ? If you are looking for security, reliablility and competitive pricing to transport your vehicle, count on us. ShipHawaii.net a company of Car Freight, Inc. with offices in South Florida, has over 20 years experience in vehicle transportation and we have a team of professionals who will help and guide you every step of the process so that you are confident that your vehicle is in good hands. From where to where are you shipping? Ship Hawaii personal vehicle shipping ?